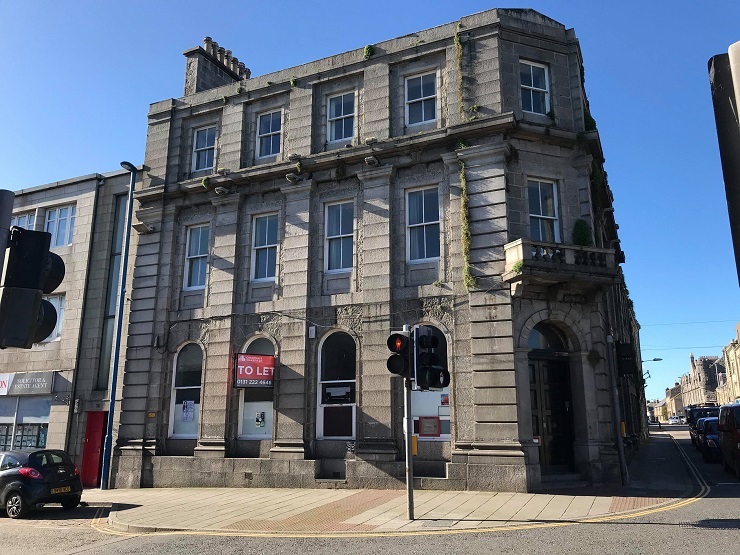 Shepherd Chartered Surveyors is offering a substantial development opportunity in the popular coastal town of Fraserburgh town centre for sale. The 5,262 sq ft property occupies a prominent corner position at the junction between Broad Street and Mid Street. Broad Street is considered the main retailing pitch within the town and, as such, the proeprty benefits from high levels of passing pedestrian and vehicular traffic with a further benefit of on street car parking also provided within the nearby area. The ground, first, second and basement property has been split to provide a ground floor retail area with the upper floors used previously for office/storage areas. Mark McQueen commercial associate at Shepherd Chartered Surveyors said: “The property was previously used as a bank and, as such, we have assumed that they will benefit from Class 2 (Financial Professional and other services) consent in terms of the Town and Country Planning (Use Classes) (Scotland) Order 1997. Offers are invited. Interested parties should contact the sole selling agent on 01224 202800.